FLORIDA CRIMINAL APPELLATE LAW AND PROCEDURE 101: WHAT HAPPENS AFTER A CRIMINAL CONVICTION? If you must file an appeal from a State or Federal criminal conviction you are unquestionably undergoing a difficult time in your life. Criminal appeals are an arena not for the faint of heart. Florida criminal appellate attorney Nicholas G. Matassini is board certified in criminal trial law and has been successfully handling State and Federal criminal appellate litigation with passion, expertise, and dedication for years. People convicted of a crime can often appeal specific legal issues if certain measures are taken to preserve those arguments for subsequent appellate review. Generally, an appeal is brought to review legal matters arising from a criminal prosecution in adult or juvenile court. When a person is convicted of a criminal offense after a trial in circuit court, that person can then file a direct appeal of the conviction and sentence to the District Court of Appeal. If, however, a defendant has entered a guilty or no contest plea to the charge as opposed to going to trial, and there has been a conviction or sentence based on that plea, the potential grounds for any direct appeal are very narrow. These grounds are listed in Florida Rule of Appellate Procedure 9.140(b)(2). The purpose of an appeal is to review decisions of the trial court or lower tribunal to determine if harmful legal error has occurred. Legal error is harmful if it affects the outcome of the case. 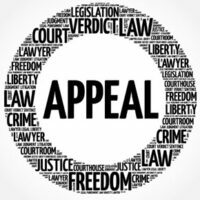 Appeals are not trials and are not intended to give a litigant a second opportunity to reargue the facts of his or her case. The appellate court does not serve as a second jury. Unfortunately defendants in criminal cases cannot take appeals from pre-trial orders (orders of the trial judge before the jury verdict) except under extremely limited circumstances like a denial of pre-trial release or a stand-your-ground immunity claim. The State of Florida, as the prosecution, however, may appeal certain orders suppressing evidence or dismissing charges before trial. These grounds are listed in Florida Rule of Appellate Procedure 9.140(c)(1). After a trial, the State can appeal orders granting a new trial or a judgment of acquittal after a guilty verdict or cross-appeal certain issues if a defendant takes an appeal. Most appeals are started by filing a Notice of Appeal with the clerk of the lower court or administrative agency within the time limits specified by the Florida Rules of Appellate Procedure (usually 30 days). You must also pay the necessary filing fees which are established by the State of Florida unless you are indigent. That notice is then forwarded by the lower court or administrative agency to the District Court of Appeal. If the Notice of Appeal is not filed within the deadline provided by law, the court, generally, cannot take the appeal. Adhering to the mandated time requirements is especially important in Florida criminal appellate law. Described below is some general information about the steps involved in a criminal appeal. The Florida Rules of Appellate Procedure contain much more detailed information. The Record: The record consists of papers and documents filed in the trial court. If there is a transcript of the trial this is also included in the record. Within ten (10) days of filing your Notice of Appeal, you may direct the Clerk of the Circuit Court, in writing, to include or exclude documents or exhibits filed in the circuit court. Transcript of Proceedings: Within 10 days of filing the Notice of Appeal, you must make arrangements with the court reporter for the preparation and filing of any transcript(s) needed for the appeal, as explained in Rule 9.200(b). Writing Briefs: A brief is the written statement which sets forth the legal arguments of the party. The appellant sets forth the reasons why the trial court’s judgment is wrong, supporting the argument by references to the facts in the record and the law. The appellee’s brief sets forth reasoning as to why the arguments in the appellant’s brief do not require the reversal of the trial court’s judgment. A table of citations which includes the names of cases or other legal authority upon which you rely, including statutes. A statement of the case and the facts describing the nature of the case, the proceedings that have already taken place, and the decision of the Circuit Court. A summary of the argument that you intend to make to the court. The full argument on each issue which you intend to raise. The conclusion, which shall not be more than one page and shall set forth precisely what relief is requested or what you want the Fourth District Court of Appeal to do. A certificate of service, stating that you have provided all parties to the appeal with a copy of your brief. A certificate of compliance that your brief is submitted in either Times New Roman 14-point font or Courier New 12-point font. Parties can review Rule 9.210 for other details and for the contents of Answer and Reply Briefs, which are similar. Oral Argument: If you want to come in person to present argument to the court, in addition to your brief, your request for oral argument must be in a separate document and must be filed not later than 10 days after the last brief is due to be served. The court holds oral argument sessions every week except in August and during the last two weeks of December. If the court grants your request for oral argument, you may present your case to the three (3) judge panel assigned to the case. You will be allowed ten, fifteen or twenty minutes for this presentation, as the court shall specify in the order setting the oral argument. Decision of the Court: After the court receives and reviews the briefs submitted, the record, conducts its own research, and hears oral argument when granted, a panel of judges will sit and discuss, or “conference” the case. They will arrive at a decision on the issues involved. Once the court decides your appeal, you will receive written notice from the court. If the court agrees with the decision of the trial court, the written notice will state that the trial court’s decision is affirmed. This written notice may include a written opinion of the court or it may simply affirm the trial court ruling without a written opinion. If the court disagrees with the decision of the trial court, it will issue a written opinion reversing the trial court and explaining why the trial court ruling was wrong. The opinion will include directions to the trial court judge about what further action should be taken. Motion for Rehearing: If you have lost on appeal and you believe that the court has overlooked or misapprehended either the facts or the law, then you may file a motion for rehearing or clarification within fifteen (15) days of the date of the order advising that you have lost. These motions are not favored. You may not simply reargue your case. (See Rule 9.330). Mandate: A mandate will be issued by the District Court of Appeal after it has taken all necessary actions to complete the appeal. A mandate is a written notice sent to you and to the trial court advising that the appellate process has been completed. (Rule 9.340) At that point, the trial court is once again in control of the case. Contact Nicholas G. Matassini, a Board Certified Criminal Trial Lawyer, for a free confidential consultation regarding your State or Federal criminal appeal. Since 1976 The Matassini Law Firm, P.A. has provided comprehensive representation in State and Federal criminal investigations, including post-conviction and appellate litigation throughout Hillsborough County, the State of Florida, and Federal courts. Visit our Hillsborough County, Florida Criminal Appellate Law section at www.matassinilaw.com.